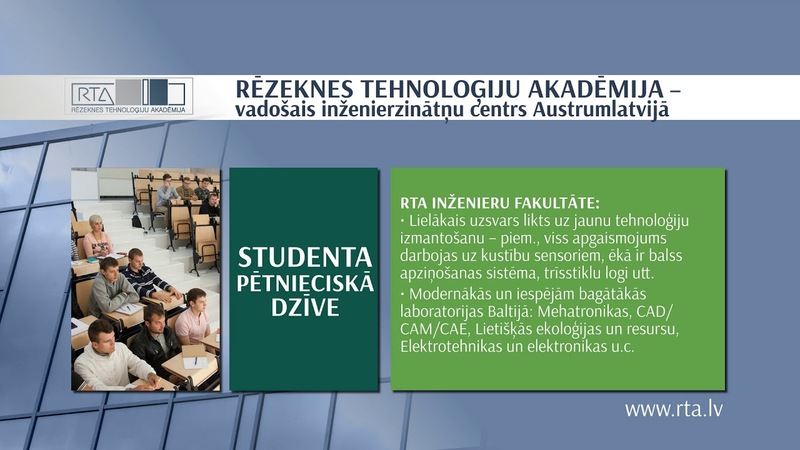 Implementing international cooperation for student and academic staff mobility, at the beginning of April, Lecturer Ingrida Kepalaitė from Utena University of Applied Sciences (Lithuania) held lectures at Rezekne Academy of Technologies (RTA). With aim to inform students and academic staff of Rezekne Academy of Technologies (RTA) about opportunities provided by the Erasmus+ mobility programmes and encourage to participate in them, RTA organizes the seminar „Erasmus+ India”. The seminar is organized by the RTA International Office and Student Council. This year the seminar will be attended also by the students from Erasmus+ partner-country India studying at the RTA. On 4th November 2016 Erasmus+ and international students of RTA had an opportunity to learn about one of the most beautiful Latvian traditions- a wedding. Rezekne Academy of Technologies (RTA) welcomes exchange students from various countries: Lithuania, Germany, France, Bulgaria, Poland, Turkey, India, Saudi Arabia, Bangladesh, Egypt, Kazakhstan, Uzbekistan, Georgia, and Slovakia.